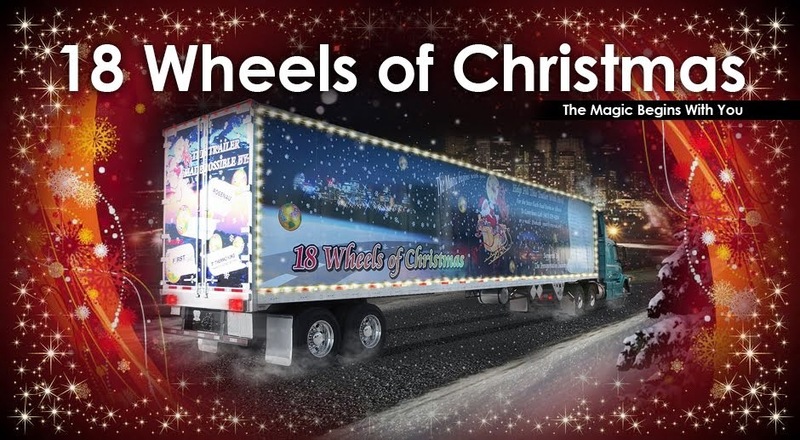 18 Wheels of Christmas: Saskatoon is on the Road! Saskatoon is on the Road! We are gearing up for some air time with CTV and Jeff Rogstad on November 15th. To advise the public of Saskatoon that we are accepting monetary and non perishable food contributions from now until December 14th . Continuing on with our Annual Santa Claus Parade which takes place on November 18th. Then we will be situated over at Extra Foods on Waneskewin Road from 9am-12 and at Sobeys at Preston Crossing from 1pm-4pm on December 8th. We are also looking forward to spending some time over at the Credit Union Centre during a couple of Blades games. We are excited to announce as well that we have Lawson Heights Elementary school involved as well in collecting non perishable food items. With the monies raised we will purchase much needed items such as baby food. Once again we are challenging other transportation companies, the general public and suppliers to continue making this campaign a success. We are going to deliver to the Saskatoon Food Bank and Learning Centre on December 19th. 18 Wheels And The Grinch Visit Fort St. John ! Rosenau Team Member Gets into the Action! Dawson Creek has it's first 18 Wheels!